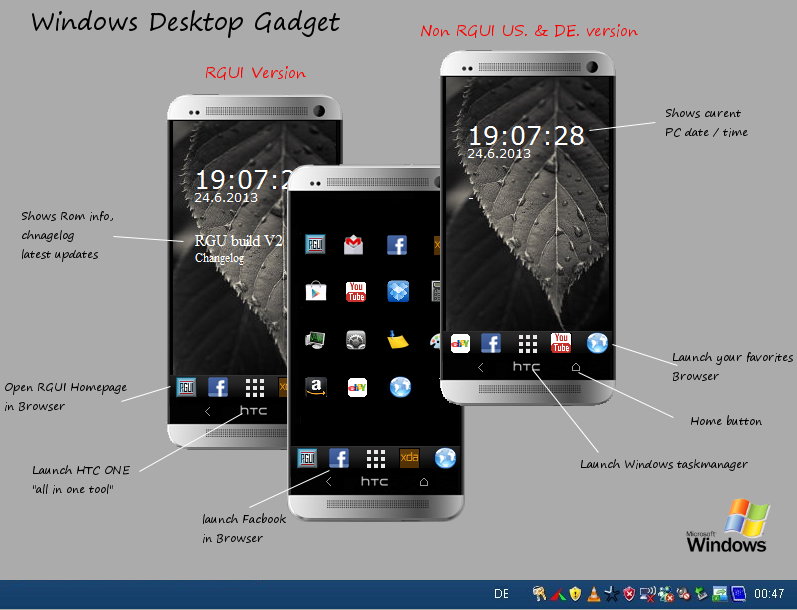 Rgui Windows Gadget available in 3 different versions. RGUI Rom user version shows Rom & Kitchen updates on Display,shortcuts to RGUI homepage & RGUI XDA Thread. Shortcut to launch HTC all in one tool on HTC button. nonRGUIus without specific Rgui links, version set all shortcuts to .com url. Shortcut to launch windows task manager on HTC button. RGUIde without specific Rgui links, version set all shortcuts to .de url. To use "HTC all in one tool " check settings on Gadget.